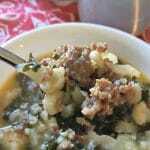 Sausage kale soup has become one of my steadfast family recipes for years. If you’ve ever been to Olive Garden, then you know all about soup, salad, and bread sticks. Growing up on a tight budget, I always knew I could get a tasty meal for a decent price if I was willing to fill up on soup! My favorite was Zuppa Toscana, which is basically a sausage kale soup and over the years, I’ve been making a sort of copycat recipe at home. The best part? My whole family will eat it! This post contains affiliate links, which means I may earn money on purchases made. In the past few weeks though, I’ve been cutting carbs and while I am not totally a Keto Diet girl just yet, I’ve found a lot of good information while researching meal planning options. This is also a fabulous choice for low-carb days on the FASTer Way to Fat Loss plan. It’s so versatile! Or if you are following Weight Watchers you can use chicken sausage in place of the Italian sausage and milk subbed for the heavy cream for lower points. I’ve included it both ways in the recipe below. 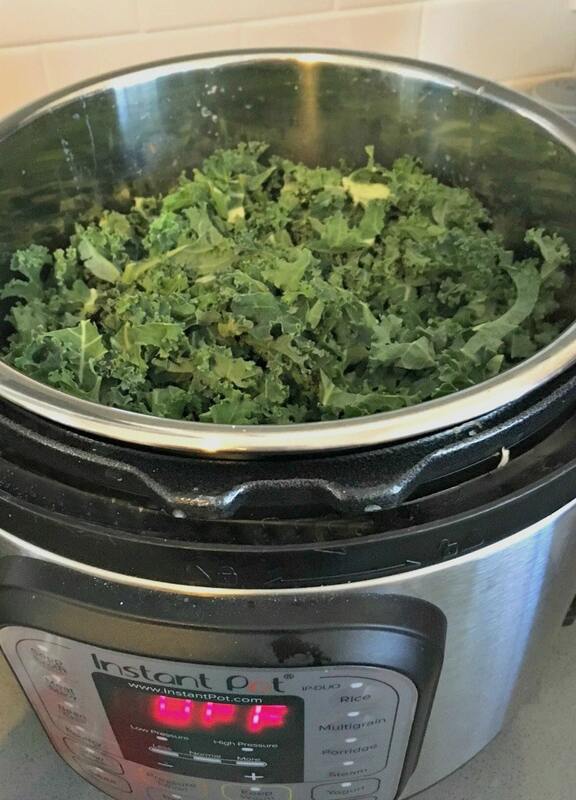 I realized my sausage kale soup recipe was almost nearly carb-free. All it had was potatoes so a simple swap out for cauliflower was easy enough and still delicious. In fact, my oldest never liked the potatoes anyway, so it’s an upgrade for him! 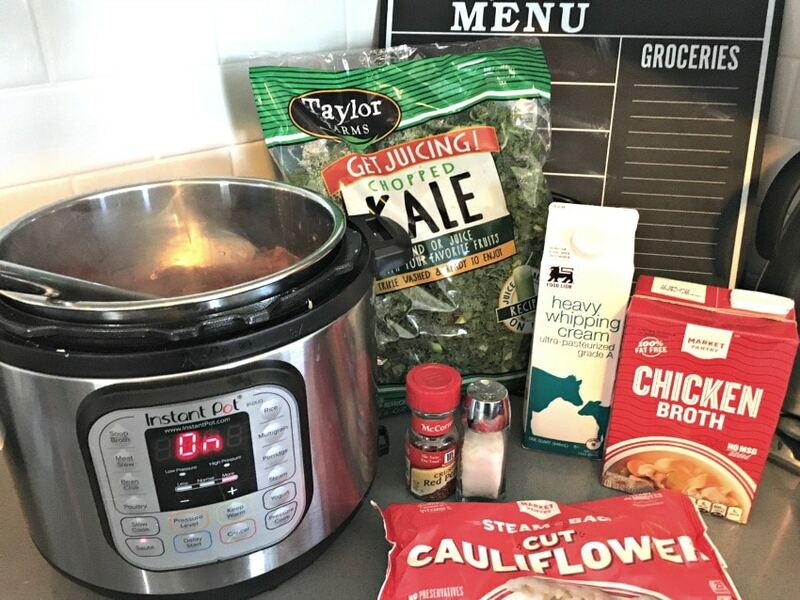 You can make this soup on the stove, but most recently I’ve been using the Instant Pot and I love it. You’ll want to saute the sausage first and drain off any grease. For some reason, the sausage I buy doesn’t leave a lot of grease so it just depends on what it looks like when cooked. I love cooking right in the the soup pot, y’all. Makes clean up SO much easier. 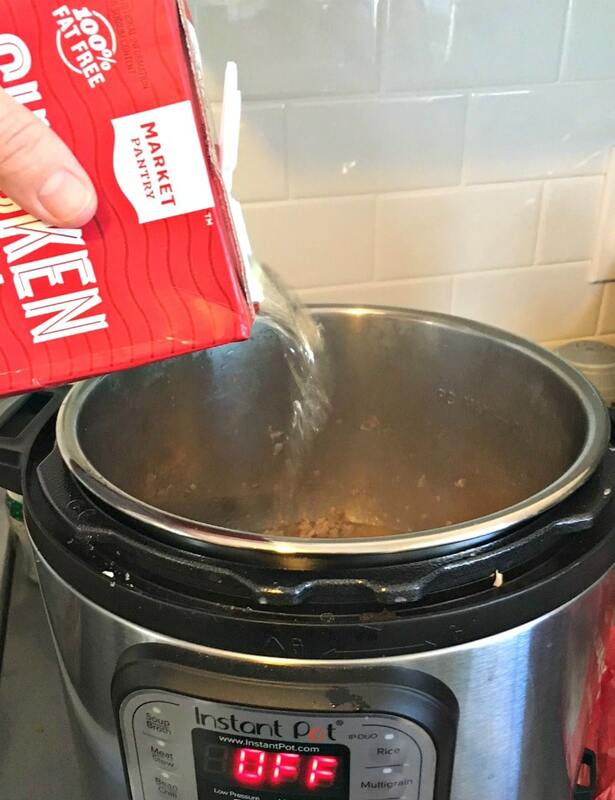 After the meat is cooked, switch off the Instant Pot while you add the other ingredients. I start with the broth and move on down the list ending with kale on top. 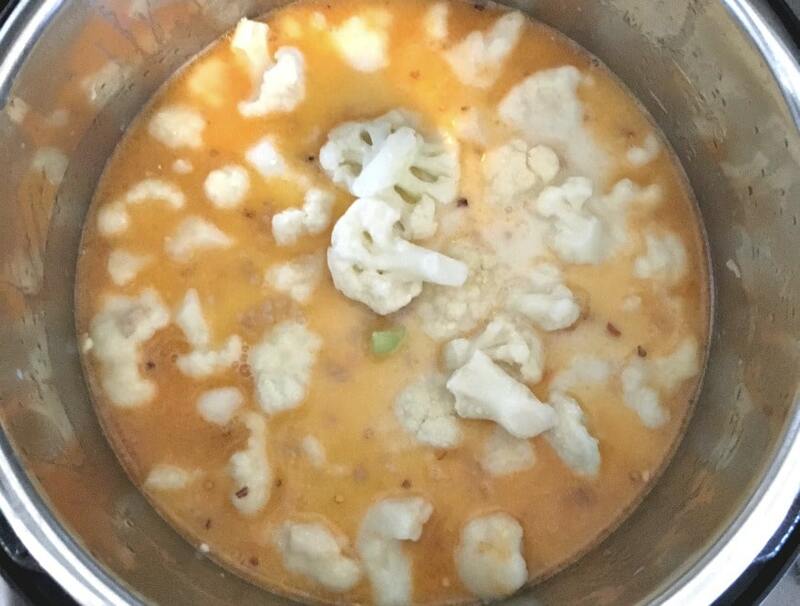 I’ve tried this recipe with both fresh and frozen cauliflower and I prefer adding it frozen. This helps it hold up longer and doesn’t get quite as mushy. Plus, no chopping! Of all the green vegetables, one my kids have never complained about is kale. We love making “green” chips in the oven and this soup is another winner. Will they eat mac’n’cheese? Of course not. Don’t ask kids to make sense. 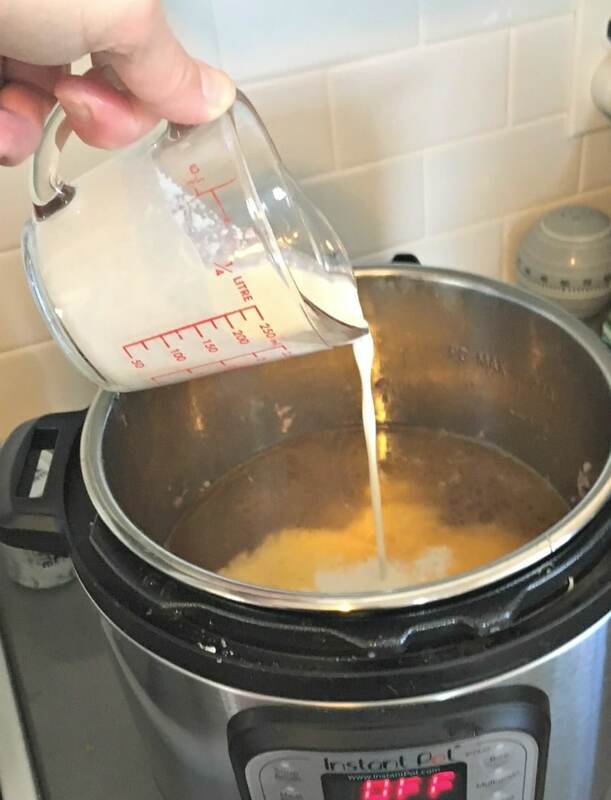 Once all your goodies are in the Instant Pot, close the lid, set the vent to seal and pressure cook on high for 5 minutes. I let it naturally release for a while after and then vent out whatever pressure is left. All told, I recommend allowing about 40 minutes from start to finish (including the meat cooking time). I love it when meals are easy and delicious. Eating low carb really isn’t too hard for me once I have a few tools in my belt and get out of sugar’s grip. And it’s always easier when my family is just as excited about a healthy meal! Total mom win. Want something tasty to go with it? Check out these gluten free veggie muffins. Best part? You don’t even have to make them. 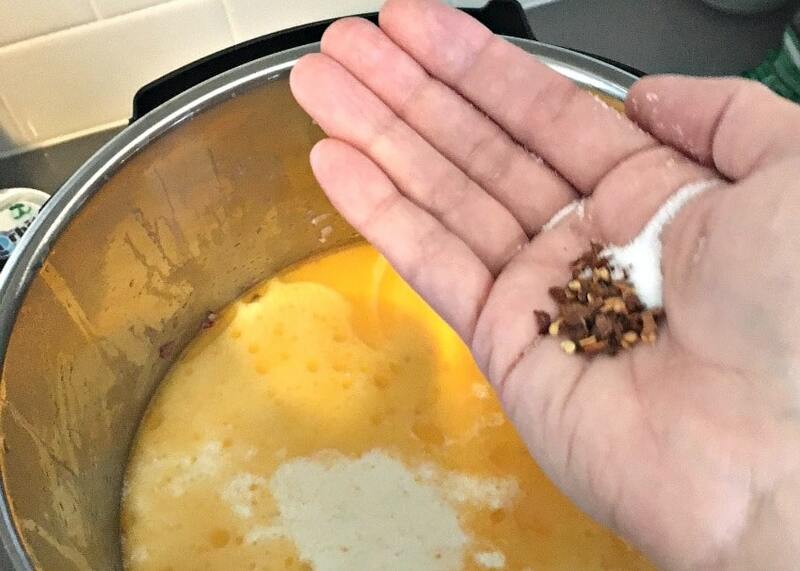 And if you’re looking for even more low carb keto soups, check out my girl Linda’s post with all the yummy options. She also has an amazing sheet pan seasoned sausage and brussels sprouts recipe that I can’t wait to try. 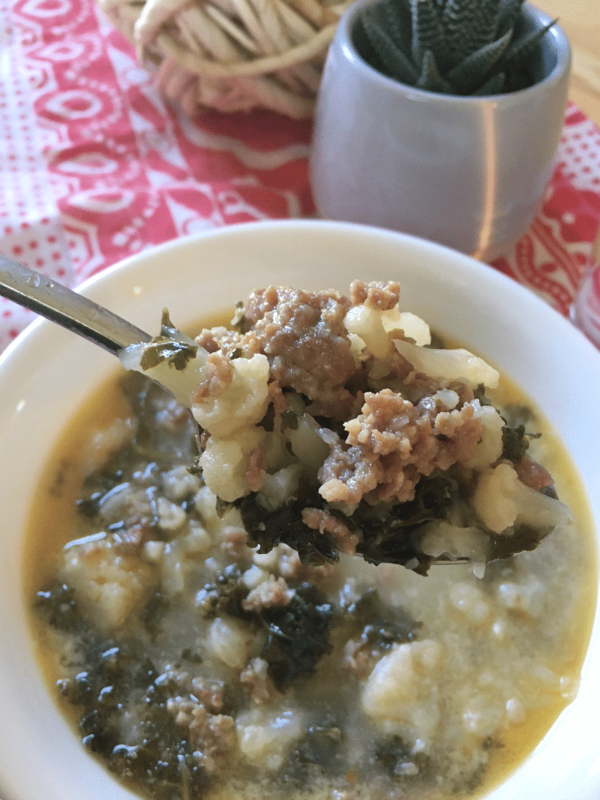 This delicious low carb sausage kale soup will be familiar if you love Zuppa Toscana from Olive Garden. Only we swapped the potatoes for cauliflower making it keto friendly and just as good! 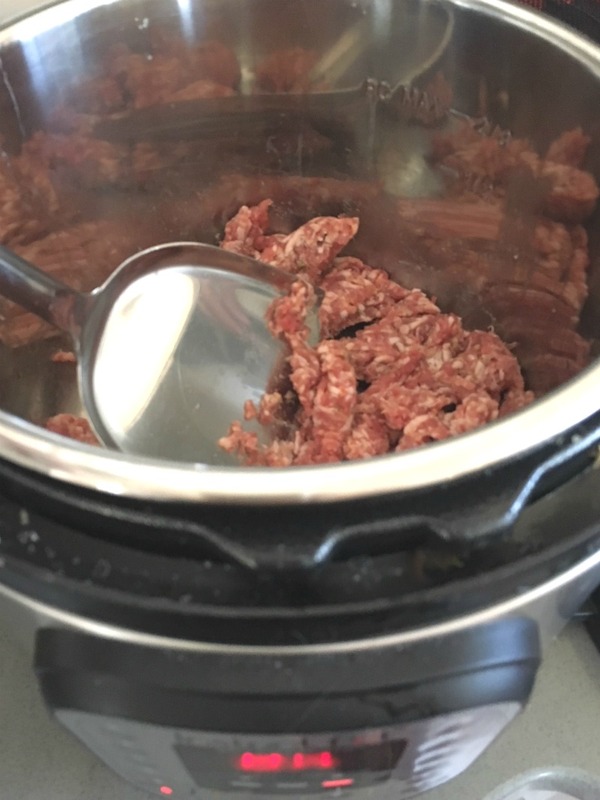 Set Instant Pot to Saute and cook sausage. Turn off when cooked and drain grease if any. Add all other ingredients and close Instant Pot. 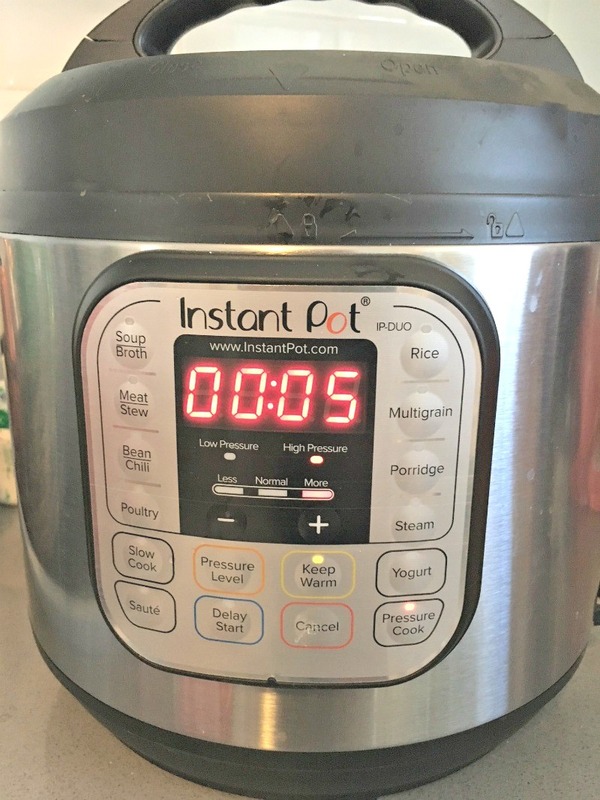 Turn Instant Pot to Pressure cook on high for 5 minutes. Natural release for 10 minutes and then vent until all pressure is released. Sound yummy? Please share and save for later! Well looka there, you just figured out dinner for me tonight! Thanks! Yay!! I can’t wait to hear what you think. I can’t wait to have it for lunch! Just started eating healthier and striving for very low carb. It’s been a crazy week, and I was so looking forward to relaxing a little tonight. Decided I needed a quick, healthy dinner to use up some ingredients I had and utilize my new instant pot. This was the perfect recipe! Thank you. So simple, and a GREAT comfort meal for a cold, windy January night in Ohio. This momma is THANKFUL for you tonight! I normally would have just eaten some freezer food in the microwave on a night like tonight. Now I can feel good about my dinner and it took me literally FIVE MINUTES. Thank you!! Oh my goodness I am SO happy to hear this! I’m so glad you loved it. We have it at least 3x/month around here!